Two of a Kind...: Boo! We had a great time trick or treating this year. Unfortunately Jordan had to work, but I invited family and friends over for chili, cornbread and trick or treating! 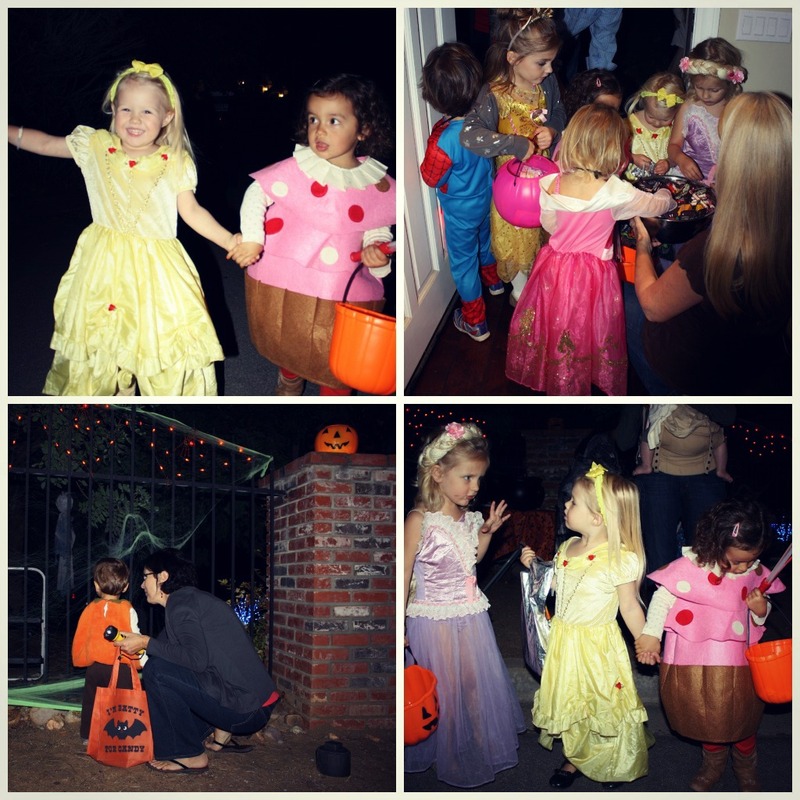 We had a fun large group of darling little kiddos and made a loop around the neighborhood. Clara had to hold her friend Brynley's hand the whole time which was adorable. 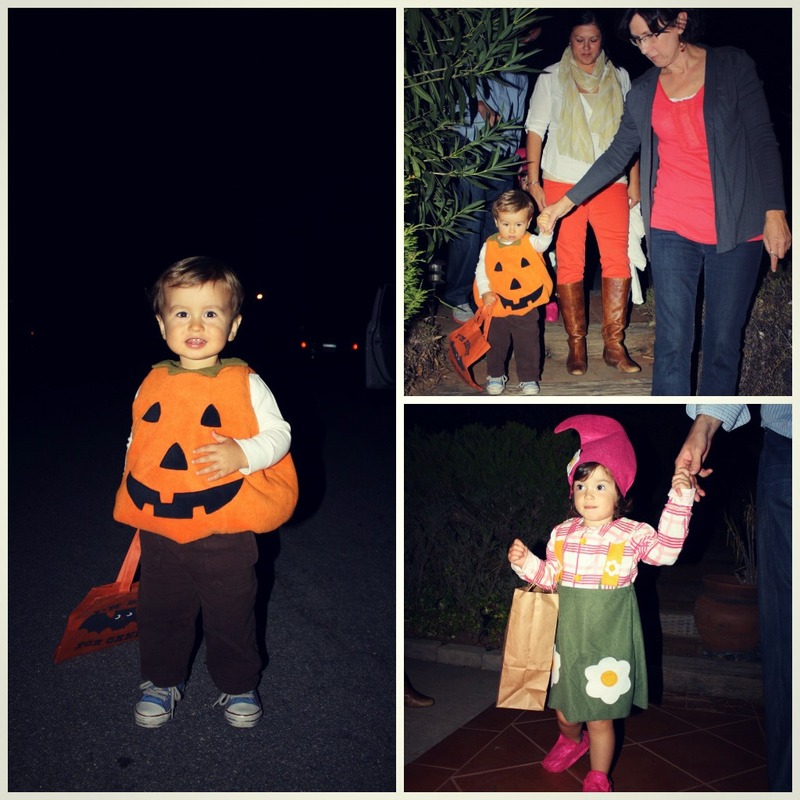 And Coleton toddled along in his little pumpkin costume, dragging his candy bag behind him. He would not let you pick him up or hold his hand, which made it a little challenging for him to keep up with the pace of the group. 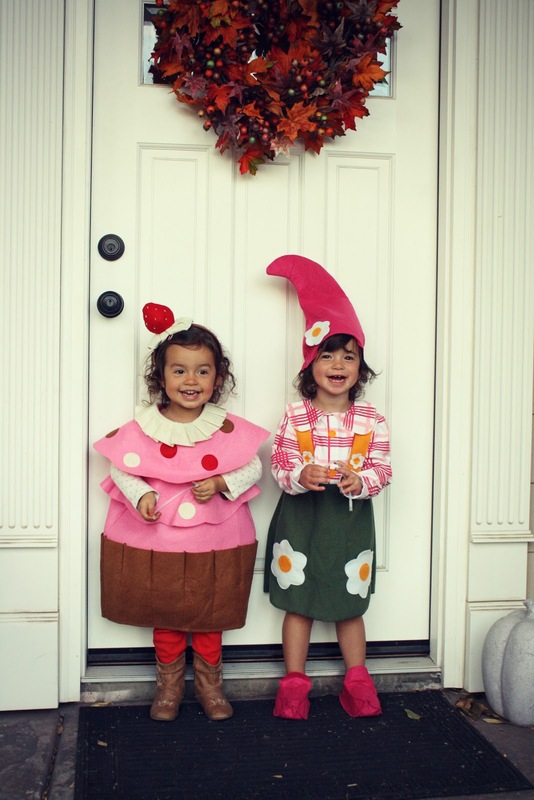 I went cheap this year with Halloween costumes, last year's fit so they wore them again! They didn't mind and I was happy to save the money and get good use out of them! We were married in April 2005, living in a wonderful home we built in 2007. We are blessed to have our families close by, and have started a family of our own! We welcomed our daughter Clara Jane on 09/03/09, and our son Coleton Brian born on 04/20/11!